There’s much to see here. So, take your time, look around, and learn all there is to know about us. We hope you enjoy our site and take a moment to drop us a line. We have a lot going on check it out here. Our district is an international district in the USA and Canada. 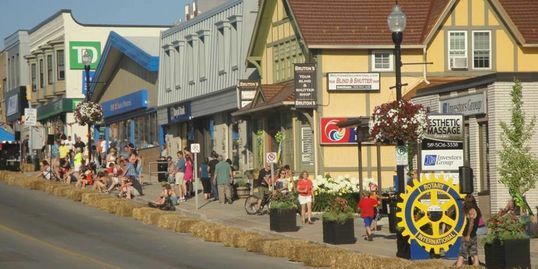 Situated in east central Michigan and west central Ontario – with clubs located in rural areas and in larger cities such as Flint, MI and London, ON. 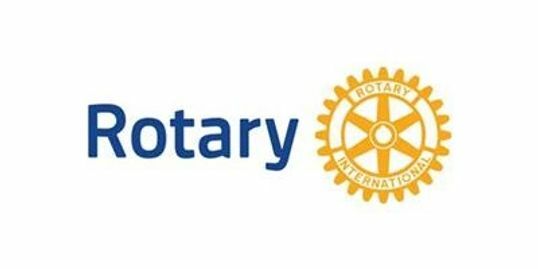 Whether you live here, or are a visitor to our area – whether a member of Rotary, or just interested in learning more about this organization and what we do – you will be welcomed at any of our meetings or events. We work together to make a difference in the lives of people in our communities – both locally and internationally – by exchanging ideas and taking action. I’m so proud to be a Rotarian. So proud to be connected to such a positive force for good in the world. 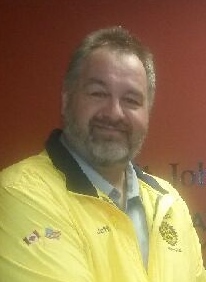 So proud to be the president of the Rotary Club of Hanover. I have always wanted to help others. Connecting with Rotary has enabled me to do just that. 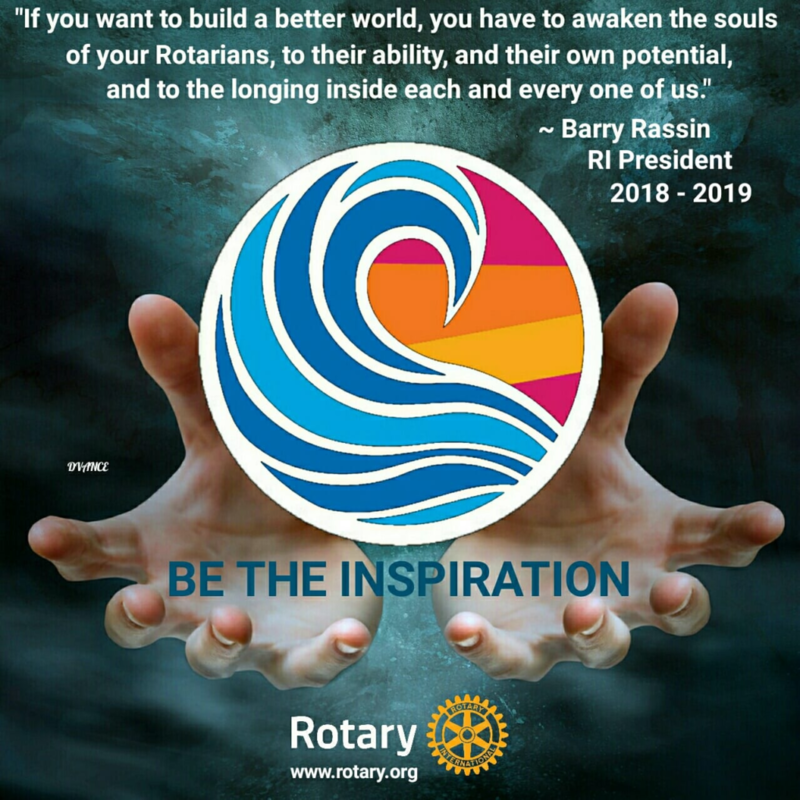 Think about it for a moment: we are a network of 1.2 million friends, neighbors, business associates and civic leaders who come together to create positive, lasting change in our communities, to Serve Humanity through Rotary – locally, regionally. and internationally. While much of our charitable giving now is handled by our foundation, the club itself also supports a number of local and regional projects. This year will be out first Poor Boys/Girls Luncheon to raise money for Grey/Bruce Hospice and Chapman House. We currently are supporting the New Generations Service Exchange Program by hosting a young lady from Madrid Spain for 3 months. We have ran our 4th annual “Walk-A-Mile in Her Shoes” march and raised over $8,000 this past Father’s Day weekend. Each Year we give 2 deserving students going on to further education a $1,000 Bursary. There are other projects as well … but you get the point. We are doing an awful lot of good – locally, regionally, and internationally – and we are having an awful lot of fun doing it. Thanks to ALL of you. It’s an honor to serve as president of the Rotary Club of Hanover. I am proud to have worked with all of you to help others in such a big way this year. I look forward to doing even more during the year ahead. Welcome to the Hanover Rotary Club’s website! I hope you will take the time to look through everything that we have been involved in and everything that we will be involved in this year. 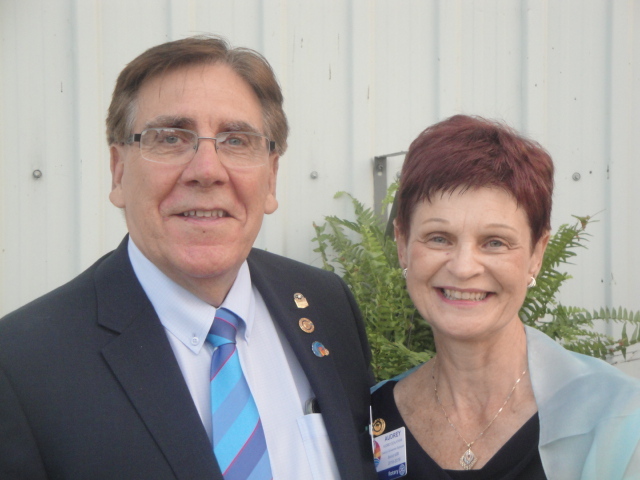 Here is my story on how I got involved in Rotary. Back in 2010 I joined the Hanover Rotary Club to help provide a valuable service to the communities of Hanover and area. 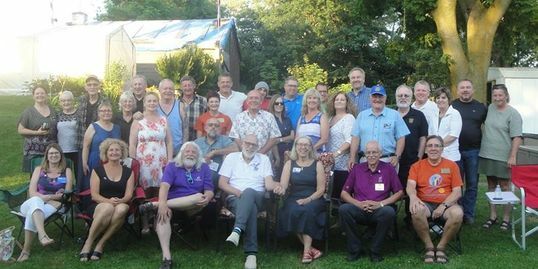 It was a small club at the time, but the size never prevented the members from making a presence and provide a service in the communities when and where needed. That way of thinking is still very prevalent in this club although it has doubled in size since I joined. Meeting only twice a month has allowed our club to encourage younger members to join that would not be able to do so otherwise. With the busy schedule that the younger generations manage it is very important that being in a service club does not add to that pressure but rather enhance their lives. Currently our club is very active this year with many projects and events to enjoy. By looking at our list of projects it can be noted that most of our attention is towards local needs. We encourage anyone who is interested in contributing to their community to contact us and even consider attending a meeting to hear what we are all about. 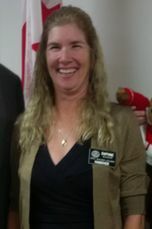 Thank you for taking the time to visit and hope to see you at a meeting soon! 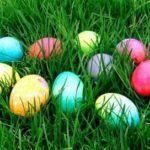 Saturday, April 20, 2019 at 11 AM – 1 PM. 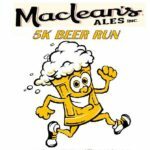 Maclean’s Ales, Industrial Park, Hanover. Are you interested in what we are doing? You are invited to come to one of our meetings as a guest. Come and experience the fun and friendship of being a member. We hope to hear from you. Whether you help through monetary donations, volunteering your time, or attending our projects & events, thank you. We couldn’t accomplish our goals without the help of supporters like you.